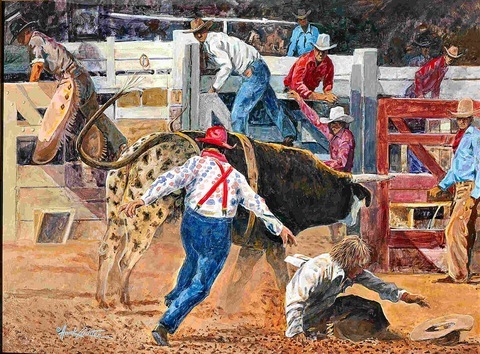 Rodeo bull riders often wish they could call 911 or a SWAT team… but, that’s impossible when seconds count. That’s when they depend on the rodeo clown to be “Johnny on the spot”, distracting the Brahma away from the tossed rider. Dust, action and danger complete the scene.